And the frigid air can only mean one thing...more indoor activities! 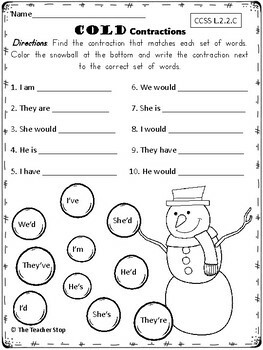 If you are looking for center activities for Daily 5 or reading instruction, grab these winter-themed activity sheets. These are also a great resource for homework or morning work in a pinch! Black History Month is a big part of the classroom! 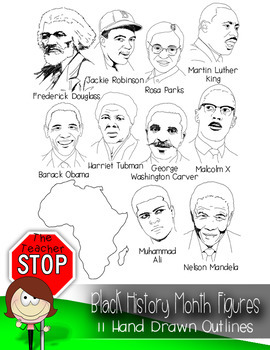 As February quickly approaches, you may want some black history month clip art to decorate your presentations. This set has many famous figures from black history. Grab them today and get ready ahead of time! Every teachers' obsession... Doodle Borders!!! 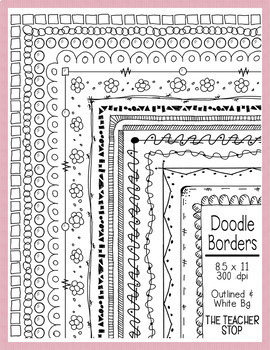 One cannot forget how much doodle borders make your activities pop! Use close to the edge of the paper or as a smaller frame around writing activities. These are hand-drawn and adorable! Add some flair to your TeachersPayTeachers resources today!